Posted by Betty. January 19th 2016. Accidents in the house are an inescapable near-certainty for dog owners. House-training, or housebreaking as some prefer to call it, is one of the most basic but vital things your puppy or young dog will go through. Accidents will happen but there are a few tips you can try to make the process as pain (and mess) free as possible for all involved. Unfortunately, there’s no quick fix. This is a process that has to be learned and patience is a virtue. In the early stages, you will need to build your routine around your puppy’s needs. Take your puppy out so he or she can do his business and reward them with a treat or praise afterwards. 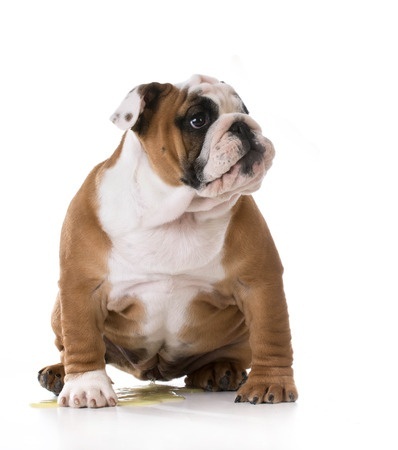 Use cue words such as ‘wee-wees’ so the puppy learns these prompts for later in life. Positive reinforcement is key. Of course, you need to teach your puppy to stop if he or she is going indoors, but do not punish the behaviour. This can make your puppy scared of going to the toilet in front of you. Don’t be tempted to leave the door open for the puppy to choose when he or she goes. Make sure they learn that the garden is a separate area for going to the toilet. Do not expect young puppies to go through the night without going to the toilet. In the early weeks, be prepared to get up and take them outside to relieve themselves. 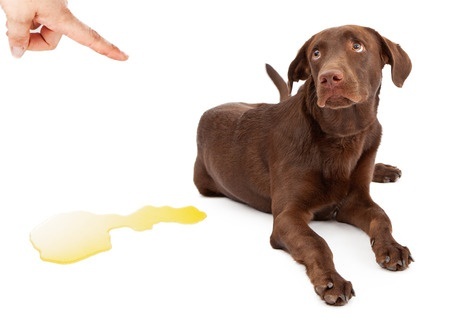 Don’t leave your puppy alone for too long or it will have no choice but to pee indoors, which sets a bad precedent. It’s quite common for young dogs to refuse to pee when out on a walk but do so as soon as they get home. Again, this is something that can be solved with training. Because the puppy has only been to the toilet while at home, you need to break this habit. Try getting up really early one morning and taking your puppy out for a walk before he or she has had their first pee of the day. Stay out on your walk until he or she has had a pee. Try this a few times and your puppy should get the idea.